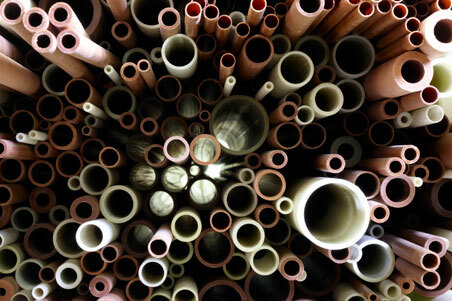 Our production of cylindrical tubes covers a broad product range with just as many potential applications. The wound tubes offer infinite possibilities when machined to meet specific requirements. The three product categories of Etronit, Etronax and G-Etronax are defined by the reinforcement materials paper, cotton fabric and glass fabric. Tubes are supplied ranging from a 3 mm internal diameter to a 1270 mm external diameter, with a wall thickness as desired and in lengths of up to 1650 mm. The standard versions are supplied with the tubes sanded and unvarnished.